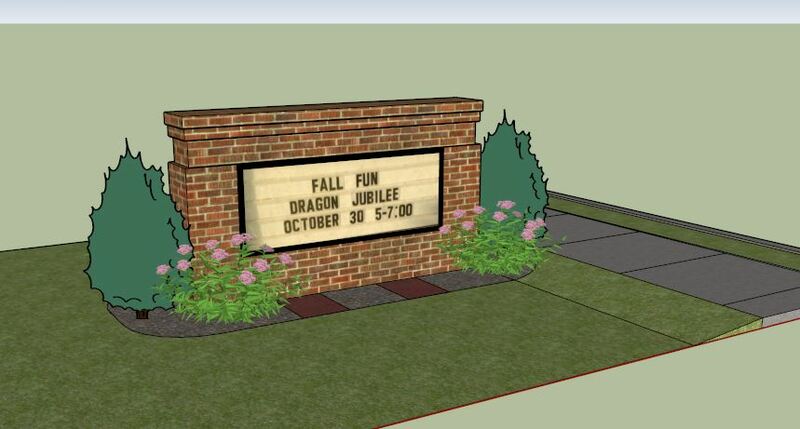 Our Dan Mills community has been hard at work this fall designing a Welcome Garden around the sign at the entrance to our school. Parents Mia Cover, Chris Hinson, and Martha Guess collaborated on a design for a garden that will be installed in phases this year. This month, we began preparing the soil and mulching around the sign, and students from our Growing Leaders after school garden club planted bulbs and created stepping stones that will be installed along with evergreen shrubs in the coming weeks. We will plant more flowers to add some color when the weather grows warm again in the spring. A big thank you to all of the parents, community members, and students who came out to help in frigid temperatures this week! Your dedication to our school makes it a beautiful and welcoming place for all.